Photo of current generation E300 courtesy of Mercedes-Benz. Mercedes-Benz has set fleet incentives for 13 of its 2018 model year vehicles and won't offer incentives on its van lineup, the company has announced. 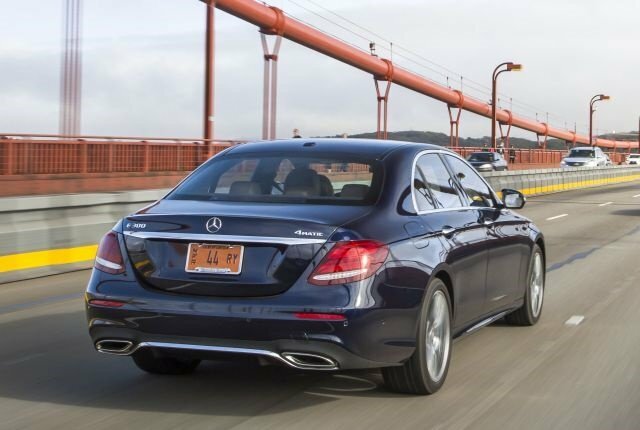 Corporate purchasers are now eligible for incentives on seven passenger cars, including $1,000 for the C-Class, $1,000 for the E-Class sedan, $1,500 for the S-Class sedan, $1,000 for the CLA-Class, $500 for the E-Class coupe, $1,000 for the SLC-Class, and $500 for the SL-Class. Mercedes-Benz is offering fleet incentives for six of its utility vehicles, including $1,000 for the GLA-Class, $1,000 for the GLC-Class, $500 for the GLC-Class coupe, $500 for the GLE-Class, $500 for the GLE-Class coupe, and $1,000 for the GLS-Class. Mercedes-Benz won't offer fleet incentives for the Sprinter or Metris vans, said Aysha Chaudhry, fleet marketing and incentives analyst.